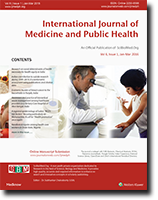 M. SN and M, B. Nivetha, “Cleanest City of India in Swachh Bharath Mission (2015-16): Mysore Model and the Lessons for other Cities”, International Journal of Medicine and Public Health, vol. 9, no. 1, pp. 4-7, 2019.